Are you a fan of Eggplant ( 茄子 ), or otherwise known as Brinjal or Aubergine? Prized for its unique taste and texture, the glossy purple fruit becomes tender when cooked and it is widely used in its native India. When buying eggplants, always choose those that are firm, and skin should be smooth and shiny without bruises. When cooking eggplants, I would usually slice them and sear both sides before stir frying till soft and mushy with other ingredients. But for this dish, I am trying out another method – a dry version. During my recent trip to Perak, I tried a different style of cooking in one of the Restaurants in Ipoh. The eggplant dish was dry, unlike the type we usually eat in Singapore which is usually wet with gravy. It was delicious and here I am, cooking this Tasty Spicy Brinjal Fries with Minced Pork ( 香辣茄子炒肉碎 ) with a twist by adding Shitake Mushrooms! 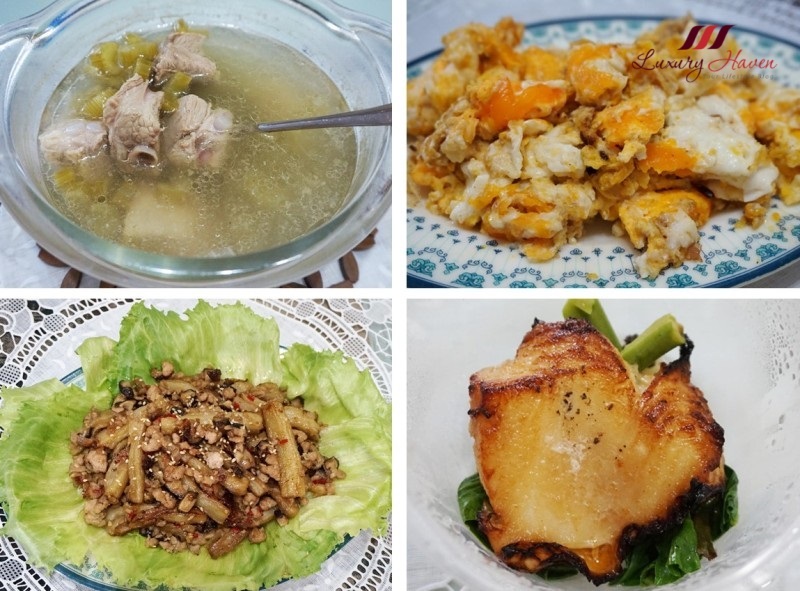 My hubby and I enjoyed the dish very much, and I do hope you will like it too. Take it with rice, or simply wrap the ingredients with Iceberg Lettuce! Lightly rinse meat and marinate for about 30 minutes. Rinse eggplant. Remove skin and cut into strips. Pat dry and coat with flour. Heat oil and fry eggplant till crispy. Remove and drain eggplant fries on paper. Remove excess oil in wok, and saute onion till fragrant. Add garlic and fry till golden brown. Throw in meat, and fry till almost cooked. Add shitake mushrooms, chillies, seasoning and water. Simmer to reduce sauce. 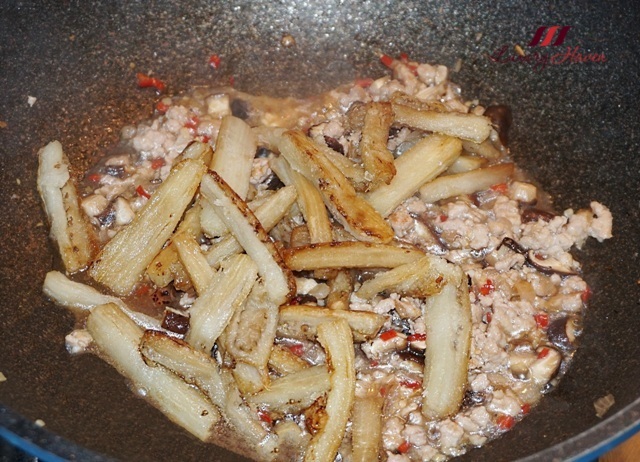 Add eggplant fries and quickly mix well on high heat so that the fries do not turn soft and mushy. Place lettuce onto serving plate. Dish out eggplants, and sprinkle with sesame seeds! 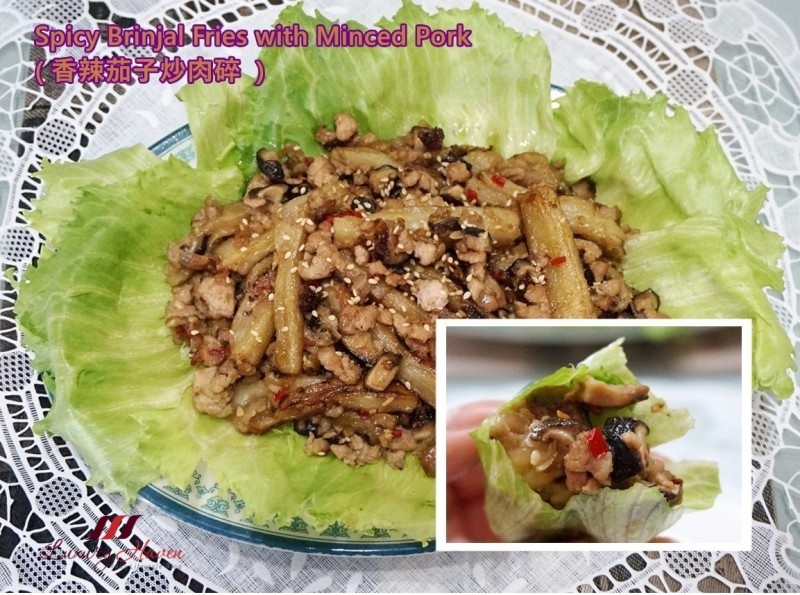 Enjoy your Tasty Spicy Brinjal Fries with Minced Pork ( 香辣茄子炒肉碎 )! 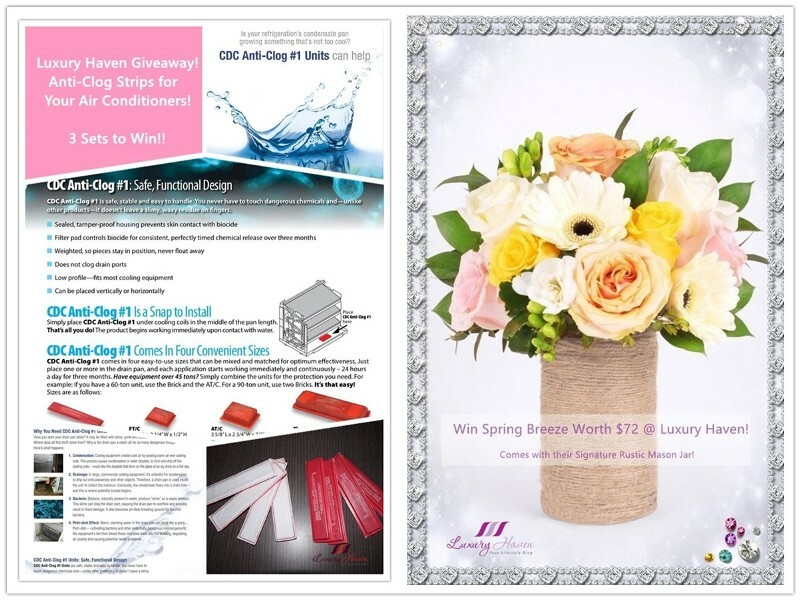 2 Giveaways Happening Now at Luxury Haven! Come Join Us To Win Fabulous Prizes! Musty odours caused by bacteria-slime accumulation. Help to to prevent water leakage in your air-conditioning system. 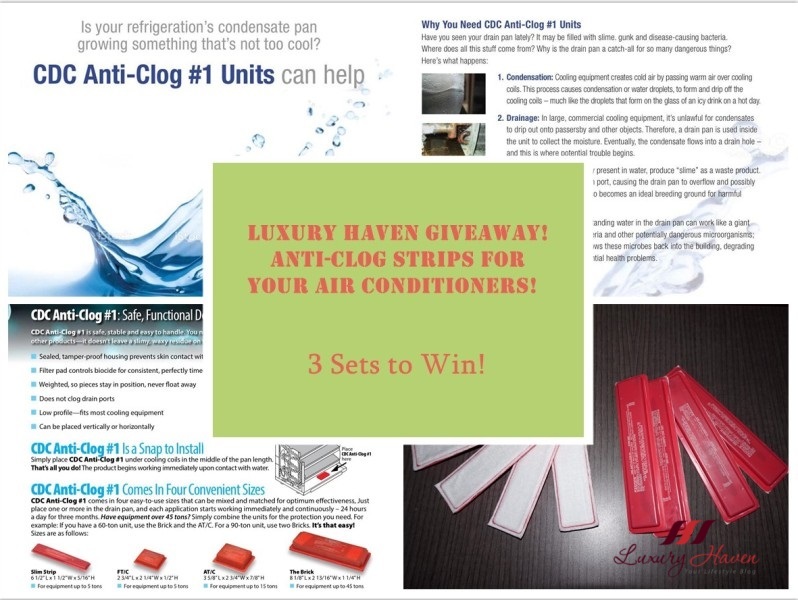 Luxury Haven will pick 3 lucky followers to Win Air Connection’s CDC Anti-Clog #1 Units for Your Aircon! A Better Florist exemplifies how passion and experience can transform something that pretty and take it to the next level. 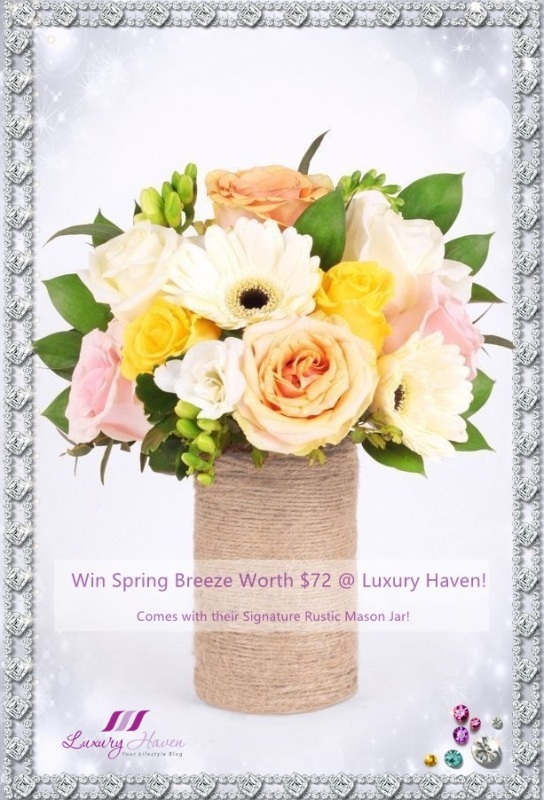 Hop over now to Win Spring Breeze Worth $72! * Giveaway is Open to All Worldwide! I bet you can read my mind. I beg you know what i am going to say over this brinjal dish. God! Hunger throne Shirley. How can I don't. My kind of food, always. The typical Asian in me. I bet the eggplant fries are delicious! A very interesting recipe, and love the inclusion of mushrooms! yummy!!!! you always have the best dishes! These lettuce wraps sound amazing!!! What a wonderful summer meal, Shirley! I love brinjal and eggplant dishes. This looks really good. Oh wow this dish looks yum! I love minced pork! The Malays and Thais have many ways to cook delicious egg plants and brinjals. You just shared a very yummy dish. Hi Shirley, the brinjal dish look very appetizing. I might want extra rice to go with this dish. hihihi...Thanks for sharing the recipe. Thanks for this recipe, Shirley. I've been cooking eggplants but never got this amazing outcome. Have a wonderful weekend ahead!